Most South Asians came to the island of Cyprus mainly during the time when the British controlled Cyprus from 1878 to 1960. Many of these South Asians are Sinhalese Buddhists from Sri Lanka. The South Asians are one of the more than 20 people groups who make up the island of Cyprus' population. Other members of this South Asian group are peoples from India, Pakistan and Bangladesh. Today Sinhalese and other South Asians are businessmen involved in trade, banking and commercial enterprises. Some are also working in agriculture growing fruit, vegetables, olives, and grains. The main language of the South Asians is Sinhala but many speak English, Turkish, Greek, Arabic, Hindi and other languages. 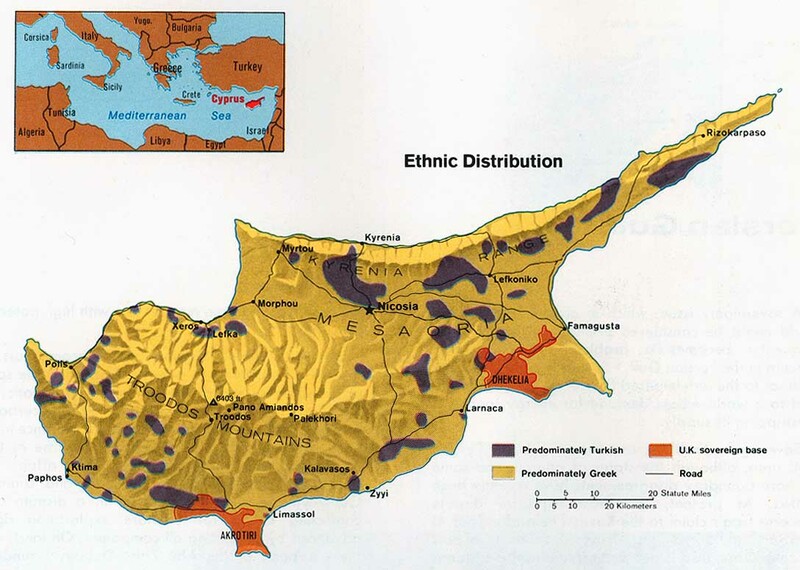 The South Asians live on the island nation of Cyprus, mainly in the south and west parts of the island. The Muslim South Asians live mostly in North Cyprus. The Sinhalese on Cyprus are a prosperous group of businessmen, professionals and merchants. They maintain business contacts with other Sinhalese who live all over the globe. Some are involved in tourism, hotel ownership, banking and medicine. South Asians on Cyprus have varied lives depending upon their religion and country of origin. The Buddhist Sinhalese and Hindus from India desire both their sons and daughters to pursue higher education. The Muslims from India and Pakistan want their sons to get university degrees. Muslim culture dictates that women concentrate on family activities in the home. The South Asians of Cyprus have different religions. About 40% are Buddhists from Sri Lanka. Roughly 32% are Hindus from India and 25% are Muslims from India, Pakistan or Bangladesh. Each of these three major world religions has their own holy writings and distinctive beliefs. Living in close proximity to one another means that they must be tolerant and accepting of others' beliefs. All South Asians in Cyprus need to hear the life-changing message about Jesus Christ in a way they can understand. They need to see the love and grace of Christ lived out in practical ways before them. * Scripture Prayers for the South Asian, general in Cyprus. * Pray that the believers living on Cyprus would reach out and share the gospel with the South Asians living on their island. * Pray for the Cypriot South Asian peoples to be delivered from their fear of Christendom and to embrace God's blessing through His Word for their families and communities. * Pray that many of the South Asian of Cyprus peoples will come to love God with their whole being and will walk in His ways.